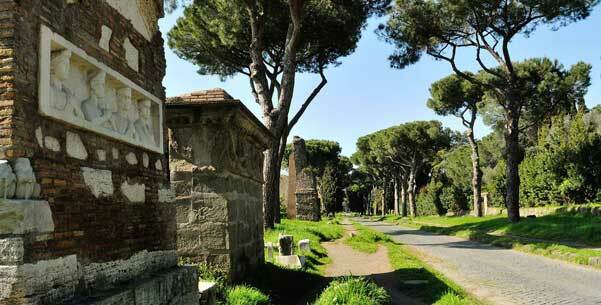 Explore some of the rarest places to visit in Rome - the Catacombs and Roman countryside. This combination bus and walking tour takes you beyond the city walls and back in time to Ancient Rome. 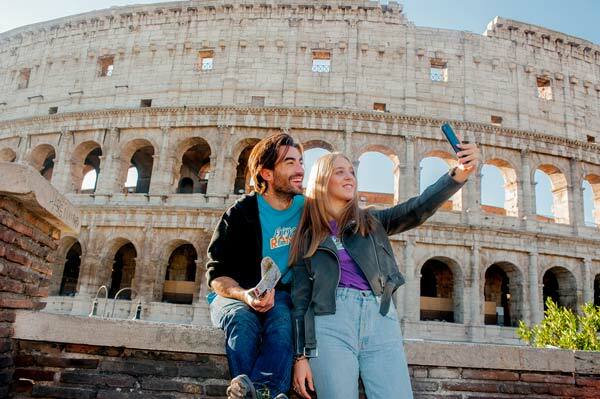 This Rome sightseeing tour begins with a comfortable bus ride to the Roman countryside. Starting with the famous Catacombs of San Callisto and continuing on to Circus of Maxentius with an external visit to the Mausoleum of Cecilia Metella. This beautiful day trip in Rome ends with a visit to the incredible Appian Way and Claudian Aqueduct. Truly unique destinations and a must-see on your Rome itinerary. An expert guide will accompany you on a unique Roman art walking tour spanning from Piazza del Popolo to the Pantheon – covering some of the best places to visit in Rome. 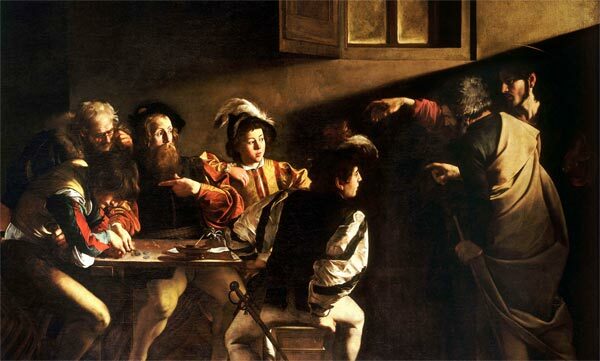 We will follow in the footsteps of the most influential and prolific painters of the Renaissance - Raphael Sanzio, and one of the most rebellious artists in Italian history - Caravaggio, who revolutionized Renaissance painting. We will discover the works of these great masters in some of the most beautiful churches in the historic center. This Rome art walking tour concludes with an aperitivo of typical Roman tastings at a local restaurant in the Pantheon area. 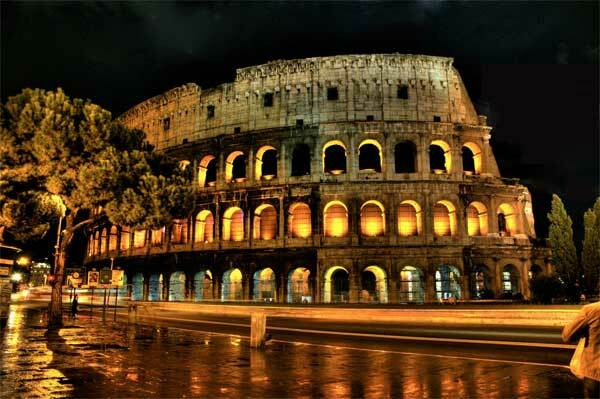 Discover the magic of Rome at night. This walking tour takes you through the best places to visit in Rome as the sun sets over the city. Stroll past all of the must-see destinations, starting with the magnificent Colosseum, the Roman Forum, and Capitoline Hill. Your passeggiata (leisurely Italian walk) continues as you encounter Piazza Venezia, Trevi Fountain, the Pantheon, and Piazza Navona - the most famous monuments in Rome, now beautifully illuminated by night. 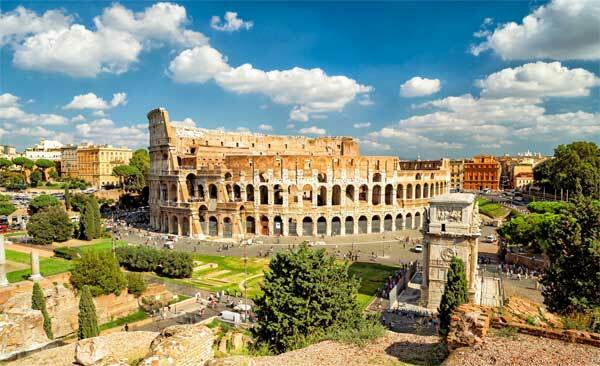 This enchanting sightseeing tour is essential when visiting Rome. This must-see sightseeing tour of Rome guides you through the charming, historic neighborhoods of Trastevere and the Jewish Ghetto - two of the best places to visit in Rome. Our journey begins in the center at Largo di Torre Argentina as we enter the ghetto, visiting its most famous attractions with an external visit to the synagogue. Next on this Rome itinerary is Trastevere – the famous artistic quarter and home to the beautiful church of Santa Maria. This unique walking tour ends in Campo de’ Fiori – a square loved by locals and filled with street artists, live music and bustling cafés. The perfect way to see the undiscovered – and very best of Rome. Roman Forum (via dei Fori Imperiali, Metro: Colosseo. Full price €9, concessions €4.50 for both tickets add a €3 supplement when temporary exhibitions are showing in the Colosseum. The ticket is valid for one entrance each to the Palatine Hill, Roman Forum, and the Colosseum within a 24 hour period). Enjoy Rome’s 3-hour “Skip the Line: Ancient & Old Rome” walking tours (in the morning at 10:30am, at 2pm, Semi-Private or the suggestive Rome by Night) covers the visit of Colosseum (interior visit), Roman Forum (interior visit) and Capitoline Hill. The Forum was the center of the political, business, and religious life of Rome for over a thousand years, the throbbing heart of what was to become the largest political power the world had ever seen, with dominions which stretched from the Atlantic coast of Spain and Portugal in the West, to modern day Iraq in the East and from Scotland in the North, to the northernmost reaches of the Sahara in the South. Temples jostled cheek-by-jowl with traders, political meetings vied with legal cases, and milling throngs struggling for space in what must have been one of the most exciting and vibrant places of Ancient civilization. If you climbed the Palatine Hill, you can enter the Forum by following the steps down by the Renaissance aviaries, alternatively the entrance is on the Via dei Fori Imperiali, opposite the junction with via Cavour. At the Colosseum end of the Forum, the Arch of Titus commemorates the Emperor after his death and recalls in its reliefs, the triumph Titus led as general in 70 A.D. over the city of Jerusalem. The Via Sacra (the Holy Way) was the most important of all of the Roman roads, leading from the Arch of Titus down into the Forum. Following the large and uneven stones, you come to the vast arches of the Basilica of Maxentius on your right. Built and named for the co-ruler of the Emperor Constantine, who overthrew him in the battle of the Milvian Bridge in 312 A.D., the Basilica of Maxentius was the largest of the Roman world - three of its vast concrete vaults survived. From the Greek meaning “royal hall”, a Roman basilica was a multi-purpose, non-religious building used for meetings and the hearing of court cases. After Constantine made Christianity legal and started building a couple of churches in Rome, he needed a practical (and non-pagan) building type for the new churches. The plan settled on was that of the basilica, and thus the major Roman churches became known as basilicas. Past the Basilica of Maxentius, the green doors and purple columns belong to the small round Temple of Romulus, dedicated by Maxentius to his young son Romulus, after the boy’s premature death. The temple has the claim to the oldest functioning lock (at least Rome's) dating back to the early 4th century. Further along the Via Sacra, towards the Capitoline Hill, on the right, you see the white columns of the mid-2nd century Temple of Antoninus Pius and his wife Faustina. So much of the materials of the Forum were stripped over the centuries that it was little more than a stone quarry, yet the columns of the temple survived. A popular legend says that the grooves visible near the top of the columns are the marks left when oxen were tied to them in an attempt to topple them. So the story goes, the temple’s solid construction meant that the project failed, and rather than taking the columns to build a church elsewhere, the church was instead built in the temple. The green door belongs to the 17th century facade of the 12th century church of San Lorenzo in Miranda and reveals the massive change in the ground level in this part of town after the collapse of the Roman Empire in the 5th century. The Forum was originally a low-lying area of marshland with a tributary of the Tiber running through it. Drained in the 6th century B.C., it began to be built upon, but after the fall of the Empire, the area was abandoned, gradually reverting back to its original state. Flooding from the river had gone unchecked for over a thousand years by the time the new facade of San Lorenzo was built here (the door marks were once the ground level). A few other factoids: the excavations down to the level of the Forum during the reign of August were only carried out at the beginning of the 20th century. And until the 18th century, the Forum was known simply as the Campo Vaccino, the Cow Field. With the Temple of Antoninus and Faustina behind you, cross the Via Sacra to the small, partially reconstructed, round temple. This was the Temple of Vesta, goddess of the hearth. The cult was a very ancient one: tradition says that Romulus’ mother had been a Vestal Virgin. It was here that the Vestals guarded the eternal flame which had to be kept burning if Rome were to survive. The current structure dates from the early 3rd century, but is the umpteenth rebuilding, as the Temple was prone to burning down. Given that a Vestal who let the flame go out was punished by being buried alive, it is understandable that they tended to prefer to risk letting the flames get out of hand. Next to the temple is what remains of the House of the Vestals, rooms around a central courtyard (now planted with a few roses) where the Vestal Virgins lived. The structure we see dates from the reign of the Emperor Trajan. Other than the High Priest of the Roman religion, the Pontifex Maximus, the Vestals were the only people allowed to live in the Roman Forum. Their position was such that if a Vestal was to touch the robes of a condemned man as he went to his execution, he would immediately be acquitted of all charges. Slightly further along the Via Sacra, between the Temple of Vesta and the Temple of Antoninus, is the Temple of the Divine Julius Caesar. Now little more than the rubble and tufa inner structure of the once spectacular temple, it marks the place of the cremation of Julius Caesar. Following his assassination as he attended a meeting of the Roman Senate in the Senate’s temporary home at the Curia of Pompey (at modern-day Largo Argentina) his funerary procession passed through the Forum. Mark Antony’s celebrated funeral oration (“Friends, Romans, countrymen…”) was spoken from the Rostra (by the Arch of Septimius Severus) at the Capitoline Hill end of the Forum. Such was the public feeling that we are told that the procession halted in the Forum, instead of continuing to the planned funerary pyre in the Field of Mars, and that people of the Suburra (the slum area close to the Forum, modern-day Monti) brought furniture and all the wood they could find into the Forum and, against all of the religious rules which stated that funerals should take place outside the city of the living, he was cremated there and then. Each year on the Ides of March (15th March), Caesar enthusiasts stage a procession through the Forum, and flowers are deposited at the altar. Look behind the fenced off area of the remains of the temple under the modern roof and, depending on the time of year, you will see flowers in various states of decay. Julius Caesar was assassinated at the temporary home of the Senate at the Curia of Pompey (by Largo Argentina), not here in the Forum, because he was in the process of rebuilding the Senate House. The large brick building further down the Via Sacra, was completed by Augustus and was the site of the meetings of the Roman Senate throughout the Roman Empire. Its reasonable state of repair is largely owed to its conversion into the church of St. Hadrian, which saved it from the worst excesses of pillaging of materials during the Middle Ages. Apart from a few fresco fragments, barely any trace of the medieval church survives; in the 1930's Mussolini stripped it of the medieval accretions and had the Augustan structure heavily restored. The Senate is usually open so you can admire the fabulous floor in opus sectile, a method of inlay which here uses purple porphyry from the eastern desert of Egypt, the green serpentine from Greece, and the yellow giallo antico from North Africa. Directly in front of the Senate House, at the time of writing work is underway on excavations in the area known as the Lapis Niger. Literally meaning the ‘black stone’ it was a darker area of paving which marked a lower area where early 20th century excavations discovered the oldest known Latin inscription on a block of stone. The inscription is only partial, and there are various theories of its meaning, but it is sometimes said to mark the place of the death or the burial of Romulus. Just past the Senate House, the Arch of Septimius Severus is a commemorative arch, erected in honor of the emperor who ruled at the turn of the 2nd and 3rd centuries. Father of the Severan dynasty, and originally from Leptis Magna in modern day Libya, Septimius Severus was triumphant over the Parthians (in modern day Iran). The arch’s reliefs detail the triumph, and captured Parthians are shown in the reliefs beneath the columns, bowed under the weight of defeat. The inscription also refers to Septimius’ sons Caracalla and Geta, who ruled as joint emperors until Caracalla murdered his brother (in front of their mother). After Geta’s death, Caracalla ordered the damnatio memoriae, that all memories of his brother should be eliminated. As a result, the inscription was modified and Geta’s name removed from the fifth line. The bronze letters were stripped and melted down during the Middle Ages but the grooves left behind reveal the modification to the inscription. Rising above the Arch is the Capitoline Hill, the rough tufa blocks with the arches are the 1st century B.C. Tabularium, the ancient archives. 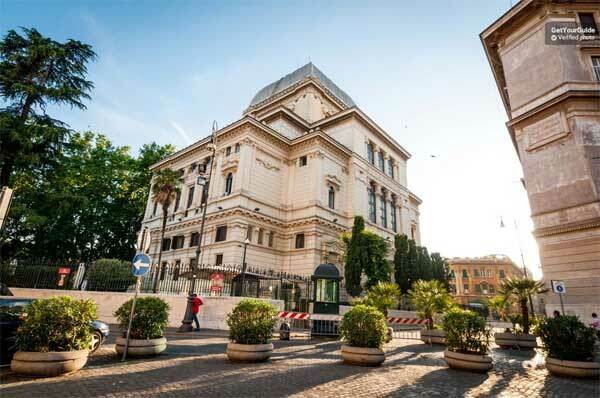 Added to during the Middle Ages and in the Renaissance, the structure is now both home to Rome’s City Hall and Mayor’s office, and to a section of the Capitoline Museums (see below). You can either leave the Forum by climbing up the steps to the Capitoline Hill, by the ramp by the Temple of Antoninus and Faustina, or by the Arch of Titus, which leads directly to the Colosseum. The Flavian Amphitheatre (Colosseum) (Piazza del Colosseo, metro: Colosseo. Full price €12. The ticket is valid for one entrance each to the Palatine Hill, Roman Forum, and the Colosseum within a 24 hour period). If you already have your ticket from either the Forum or Palatine Hill, walk straight past the ticket line, put the ticket through the turnstile, and feel very pleased with yourself. After the death of the Emperor Nero in 68 A.D., and those of the three emperors who followed him in quick succession, the general Vespasian became Emperor. He set about destroying everything associated with the hated Nero, and in particular his vast and opulent Golden House. In a very clear political gesture, Vespasian drained what had once been an ornamental lake in Nero’s palace, used for the staging of mock naval battles. In its place, he set about building a building for the people. Work began on the amphitheatre which bears the family’s name in 72 and was completed 8 years later, when it was opened following Vespasian’s death by his son Titus to great fanfare and 100 consecutive days of games. The site of legendary gladiatorial competitions, the amphitheatre is estimated to have housed some 60,000 spectators. As with so many of the buildings of the Imperial City, the amphitheatre was sporadically pillaged of its stone, some of which made its way to the facade of St. Peter’s in the Vatican. In the shadow of the Colosseum is the Arch built in 315 A.D. to honor ten years of rule under the Emperor Constantine. The Empire had been sinking into decline for almost a century, a decline reflected in the quality of art of the period. Seeking the finest sculptures for his arch, Constantine set about stealing bits from other Emperors’ monuments and reusing them. The statues above the columns come from a monument dedicated to Trajan, the round reliefs come from a monument dedicated to his successor Hadrian, and the rectangular reliefs along the upper story come from a monument dedicated to the next-Emperor-but-one, Marcus Aurelius. The strip of carving above the smaller arches tells the tale of Constantine’s victory over Maxentius in 312 A.D. at the Milvian Bridge, on the Tiber. This is the battle which Constantine legendarily fought under the sign of the cross, the traditional explanation for his decriminalization of Christianity the following year.